Leon Edwards appeared to suggest he will reprise his grudge match with UFC rival Jorge Masvidal as he accused the American of "sneaking" shots in a backstage brawl. Edwards and Masvidal each won their bouts - against Gunnar Nelson and Darren Till, respectively - in London on Saturday, but those victories were overshadowed by an incident away from the octagon. 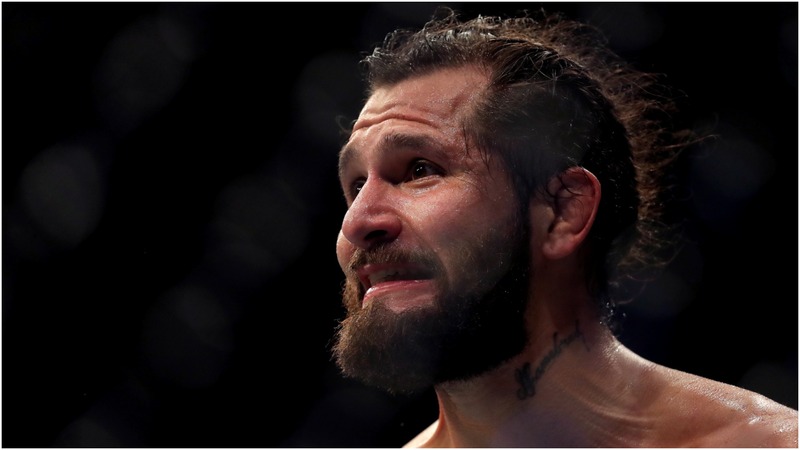 The pair engaged in a scrap after exchanging words as Masvidal walked away from a media interview. Masvidal later claimed Edwards was the instigator and he fought because he was "scared". Addressing the clash on his Instagram page, Briton Edwards claimed security rescued Masvidal from harm, adding: "I'll see you soon". Reflecting on the event as a whole, the 27-year-old first wrote: "Very happy with my performance last night against a very high calibre opponent in Gunnar Nelson. "Much respect to you, Gunnar; that was a great fight and look forward to seeing you bounce back. "Thanks to my team, friends, family and the fans for everything. Birmingham, stand up! As I said - that's seven in a row in the hardest division in the sport and I'm coming for everyone. "World champ 2019 mark my words. If you're not with me now, you will be." He then added: "And Jorge, fair play [for] sneaking your shots in when you could. But now you're f*****. If security wasn't there, you wouldn't have made it back to the US. I'll see you soon."